We’re 48 hours out of the third round of Monster Energy Supercross and wow, things have been pretty cool. 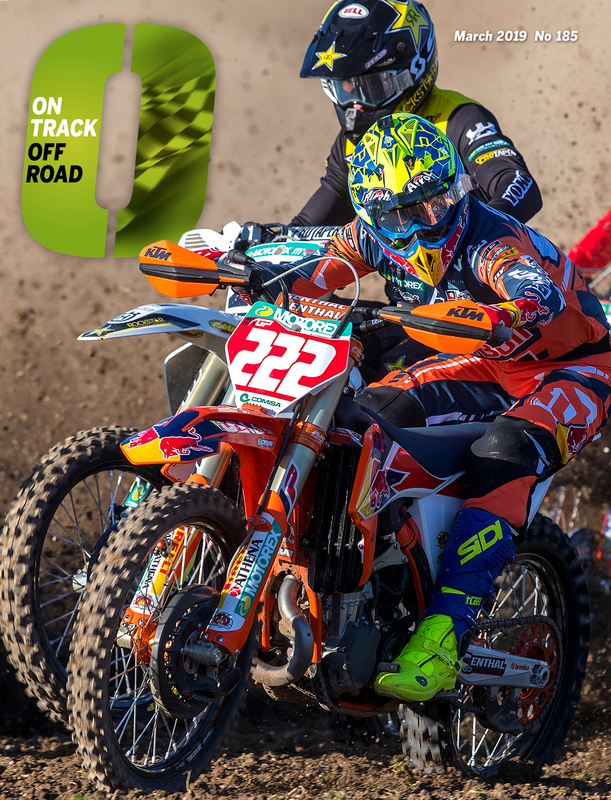 Last season we had two of the four potential title winners miss a race with injuries and we were trying to build some drama after Rockstar Husqvarna’s Jason Anderson appeared to be in control of the series early on. 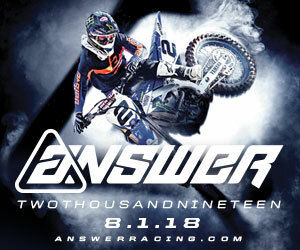 2019 first round winner Justin Barcia of the Monster Yamaha squad hadn’t won in almost five years, second round winner RM ATV/MC Blake Baggett had never won a 450SX before and now, third round winner Cooper Webb of the Red Bull KTM team just won his first 450SX ever. 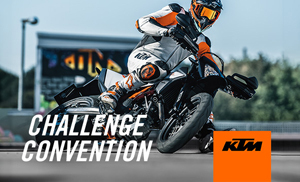 And we still wait for Honda’s Ken Roczen, Monster Kawasaki’s Eli Tomac, Anderson and Webb’s teammate Marvin Musquin to win a race. Yeah, things have been that nutty so far. 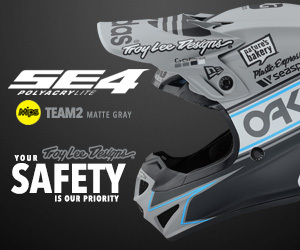 Have we reached a level of parity in the 450SX class? Well, so far yes but it’s hard to see it staying like this. The big guns are warming up. 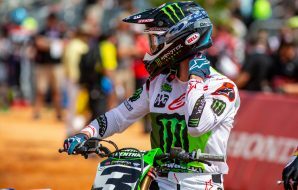 Tomac told me after his third overall: “it’s hard to get down on yourself because we’re right here in the championship. Years past I’ve been always digging myself out of a massive hole. 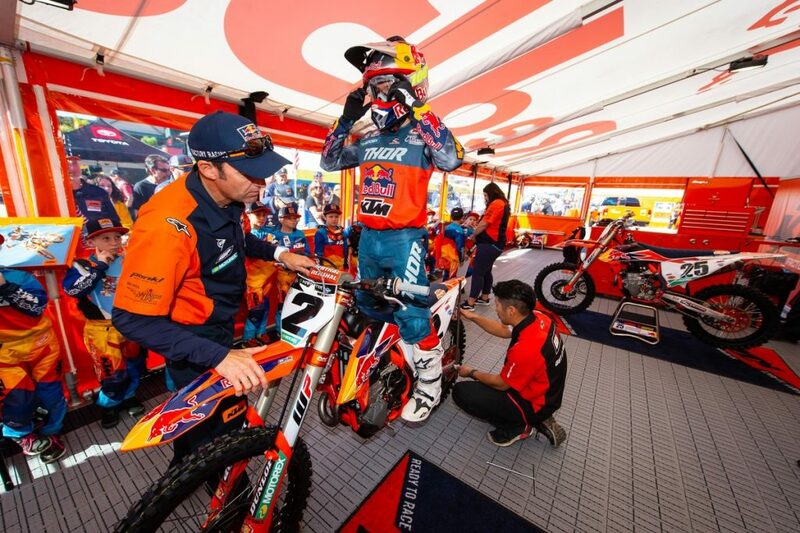 So we’re in a great spot right now.” By seemingly not worrying about victory just yet it seems like Tomac and the still-coming-back-from-injury Musquin are playing the long game right now and are learning from Ryan Dungey and Anderson last year. 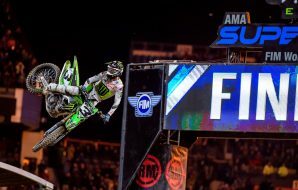 After Baggett’s win last week we wondered if it was a ‘one-off type of amazing ride’ or if the win will get him enough confidence to start being up there every week. 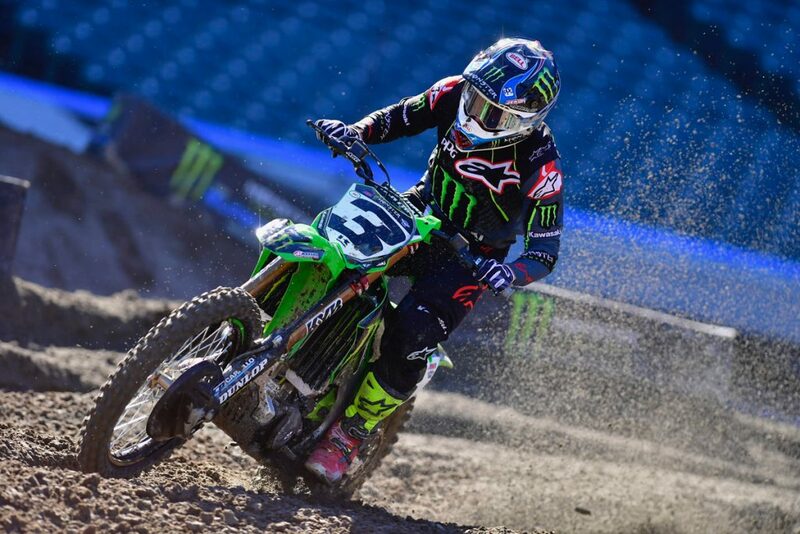 Granted his starts weren’t good at Anaheim 2 (it was the first round of the Triple Crown format with three 15-min motos) but he was nowhere near the front or the force he was last week. 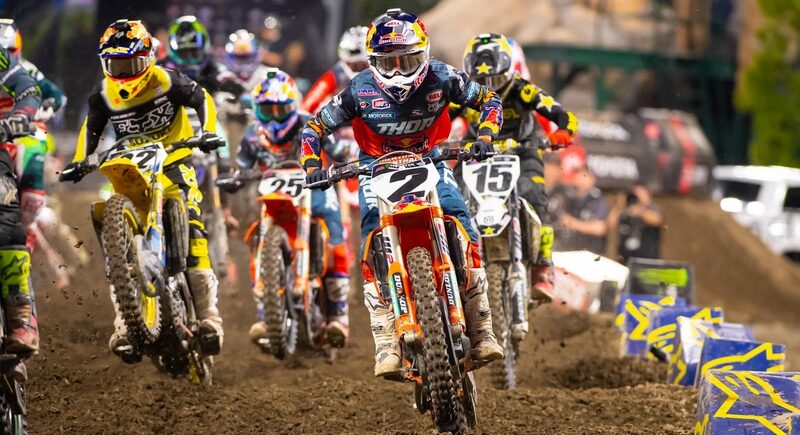 So with Webb winning two of the three in Anaheim and taking the overall, we probably need to hold off judgment on whether this will put #2 over the top to a title contender. Although he is third in the points and right there. Like Baggett, Webb’s a 250 motocross title winner. And those titles don’t just fall into your lap you know. 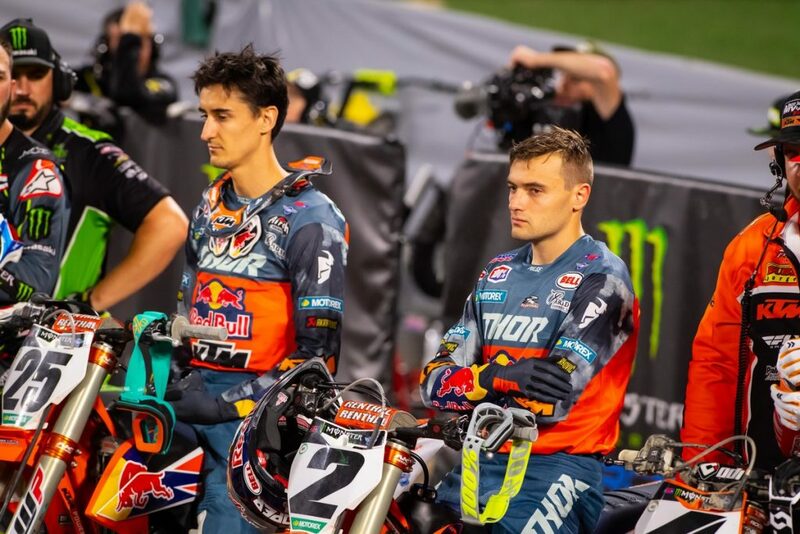 So it’s with that knowledge that I think both guys can work their way up to be more consistent and challenge Roczen, Tomac and Musquin but we’ll need to see more evidence. 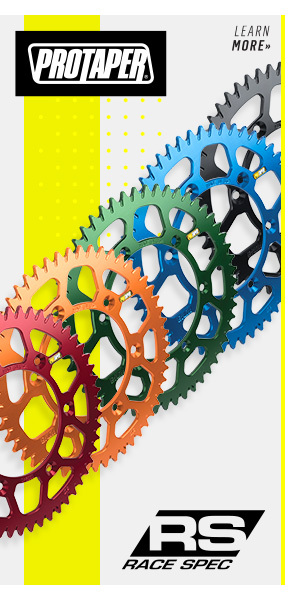 Either way, it’s fantastic for the series to have this go on and get more riders involved. The feeling of not knowing what is going to happen when the gate drops is something this sport has yearned for. It’s been a long time since we didn’t have one or two guys that you just knew were going to win. On another note, as mentioned this weekend was the Triple Crown format. Three “motos” or whatever you want to call them with Olympic style scoring determining the overall winner. Then the riders are given the normal race points they would get for the usual sole 20 minutes plus one lap main event. The 450’s do three 15 minutes Mains, the 250’s do three 12 minute Mains. I think these things have worked out great. Do I want them at all seventeen rounds of the series? No, but they could definitely add more to the series. They’re exciting, every race on the track means something and the fans seem to dig them. “Three of them: that’s perfect. That’s good. 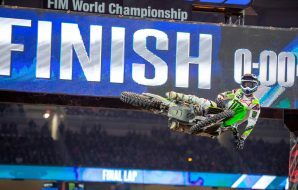 Any more than that, I think it’s a little bit just too crazy for all of us,” Eli Tomac told me after the race. There’s definitely some small complaining by most riders on having more starts, more first laps, more potential for chaos. I get all that for sure but we’re also in the entertainment business and these races, well, they are more entertaining. 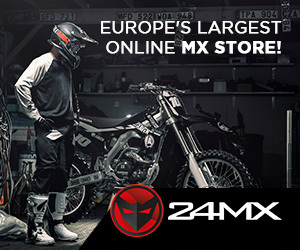 The European supercrosses I’ve been to know how to do it. The promoters roll the big names out multiple times a night for all sorts of showdowns. That’s what the people want to see and as much as I love privateer riders, having a series of heats, semi races and LCQ’s (although those should still stay in the main show) isn’t what the fans want to see. More laps by more of the stars is a start to changing things up in the sport. If this format doesn’t resonate and work with people, you can always change it back. Let’s hear it for the Triple Crowns!